You've heard it before - "Our diet food tastes great and is the healthiest!" Unfortunately, the products normally either don't taste good, have false nutritional information, or have ingredients and nutritionals that are on par with regular products once looked at closely. On the other hand, what if it was actually true? What if it did taste great and was legit? ThinSlim Foods products are - so much so that we guarantee it! We offer guarantees that most diet food companies and even companies that make products for diabetics would never think to offer because they can't. Due to the ingredients used to craft ThinSlim Foods products, we can safely guarantee that you won't experience a blood sugar spike from eating our products. We think our products taste so good that we guarantee it. If you don't like your product, contact us for a refund on up to 1 of each flavor/type of product. 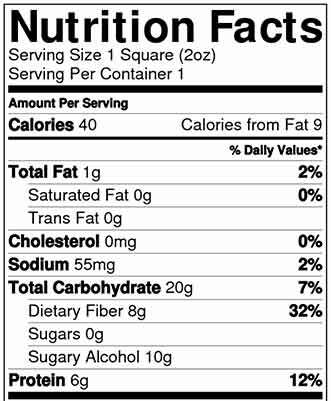 These nutritionals are so rare that there are no other companies with products that are so low in both calories and carbohydrates. Most low carb companies have lots of fat and calories while most low calorie companies have a fair amount carbohydrates. In fact, our products are often 50-75% lower than even other "diet food" companies. Remember when comparing products to compare ounce for ounce, not based on the label. Some companies like to only give very small serving sizes to make it seem like their products are lower in calories than they really are. These shockingly great nutritionals don't mean anything if they aren't true. 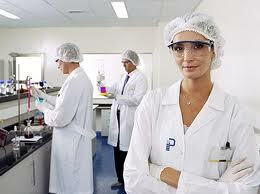 That is why all of our permanent products are independently lab tested. If any products have not yet been fully lab tested, we will indicate this on the product page and clarify how the nutritional information has been generated. There seems to be too many diet food companies in existence that are just making up their nutritionals. This is one of the main reasons we ever started baking. Do you have a current favorite product that isn't by ThinSlim Foods? Have you called and asked if the company has tested its products? The secret to making ThinSlim Foods products is using ingenious ingredients that are only of the highest quality. Although this results in ingredient costs that are often 200-300% higher, we have always felt it is worth it and apparently so do you! ThinSlim Foods pastry products are only sweetened with erythritol. Erythritol is the lowest calorie, natural alternative sweetener and has been show to digest differently than other sugar alcohols (such as maltitol) such that it won't cause any GI distress (the runs). 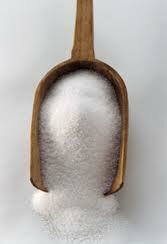 For expanded information on Erythritol, see this wikipedia article: Erythritol. No Maltitol: Most low carb and low calorie bakery products are sweetened with maltitol. The reason is that maltitol is very inexpensive and easy to use. The problem is that for most people, the addition of maltitol often has a laxative effect, hence the warning, "Excessive consumption may have a laxative effect." The cost for erythritol is 2-300% greater than maltitol or regular sugar. Most diet food baked goods use whole wheat flour because it sounds healthy. Unfortunately it isn't. If you were to put flour, whole wheat flour, and our flours on a scale of "healthiness" with flour as a 1, whole wheat flour would be about a 5 and ours would be a 100. That is how drastically different these are.